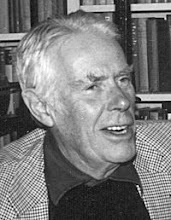 Alexander Waugh has worked as an opera critic and written books on classical music and opera as well as co-writing a musical (Bon Voyage!) with his brother Nathaniel. His other publications include Fathers and Sons (2004), an inter-generational portrait of his own family, which formed the basis of a BBC4 documentary in 2005. He is General Editor of his grandfather Evelyn Waugh’s Complete Works, a scholarly collaboration between the University of Leicester and Oxford University Press currently expected to run to 43 volumes. In his talk he will trace the relationship of Anthony Powell with Evelyn Waugh, Waugh’s brother-in-law Alick Dru and Waugh's heirs and assigns, particularly Auberon Waugh. Tickets: £10 may be booked via Eventbrite at https://anthonypowell.eventbrite.co.uk or by calling the Wallace Collection on 020 7563 9551. Please note: tickets are NOT available from the Society! Hilary Spurling has said of herself: “I write biographies because I am fascinated by people – by their infinite resourcefulness, by their mystery and power, by the strange patterns their lives make – and because they give me better plots than any novel I could invent.” To her masterly studies of English novelists and the French painter Henri Matisse she has now added Anthony Powell: Dancing to the Music of Time, which is being published in October. In her talk she will reflect on her pursuit of an often elusive subject, placing Powell’s life firmly in the context of his celebrated twelve-volume sequence A Dance to the Music of Time. 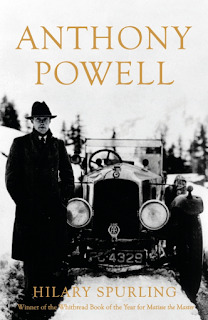 Hilary Spurling will be signing copies of her biography, Anthony Powell: Dancing to the Music of Time, after the lecture. We hope the book will be on sale in the Wallace Collection shop. The Wallace Collection restaurant will be open before the lecture for lunch and afterwards for afternoon tea – but you MUST book a table (phone 020 7563 9505) as Saturday is very busy. For further details of the lecture please email secretary@anthonypowell.org.